Browsing Category: Trees & Shrubs Displaying 1-14 of 21 Found. $22.95 Calycanthus floridus ’Athens’ (a/k/a ’Katherine’ for Dr. Michael Dirr’s oldest daughter) was first given widespread availability by Cedar Lane Farms in Madison, GA thanks to owner, Jane Symmes and was one of the first plants we acquired (see SKU number) in 1989 when we started our nursery. The clone is unique in the yellow flower color. To some degree it is also unique due to its intense, fruity fragrance since many "sweetshrubs" have no fragrance at all. 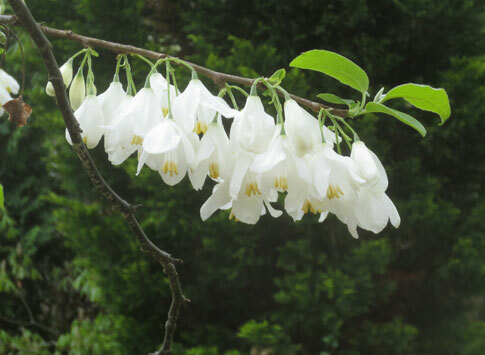 It’s a plant native to the USA if that matters to you, and its perfume is most noticeable in the evenings. 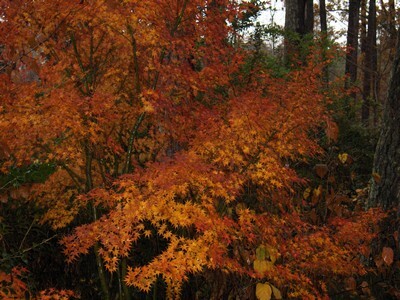 Height to 8 feet and spreading much wider where space allows (a feature of many native shrubs). Always in limited supply since we propagate it by digging suckers from a large patch near our retail area, and I’d rather dig to plant a new specimen than spend much time separating suckers. It’s a great plant. I’m the one that’s lazy. Zones 5 - 9. $17.95 ’Biltmore’ is propagated by cuttings from the fine specimen of Parrotia persica located on the grounds of the Biltmore House & Gardens in Asheville, NC. It is a wide-spreading, large tree at maturity, reaching 40 feet or so, with beautiful exfoliating bark. Dirr notes that the species is tough & durable succeeding in a wide range of conditions. I can think of 3 we have planted at the nursery, 2 of which have been ignored (no feeding or supplemental watering for over a decade) & all look fine. Sun to light shade. Deciduous for Zones 5 - 8. $19.95 Corylopsis pauciflora is the smallest of the Corylopsis species, and therefore perhaps the easiest to use in most gardens. It reaches 5 or 6’ and is easily as wide, and brings butter-yellow dangling flowers to the late winter garden before the new leaves emerge. Whether the blooms are fragrant is debatable, some say yes, some say no - my nose says no. Excellent in sun or part shade; it works well in woodland sites. Deciduous, zones 6-8. $19.95 Haystack-shaped evergreen shrub or small tree. These are seedlings raised from D. humile which is claimed by some to be a different (and shorter) species than D. macropodum. However, some references consider them the same. It makes an excellent dense, glossy-leafed mound to obscure whatever ails your garden. Size is the main question. If D. humile is truly low-growing or dwarf then these should be 6-8 feet tall and wide, as the mother plant is. If however, D. humile is synonymous with D. macropodum then Katie bar the Door, as our garden plants tagged as that species are already 25 tall. Jack and the Beanstalk? So it’s guesswork. Zones 7 - 9 (have survived -1 degrees here). $25.95 These are seedlings of Cornus elliptica, a Chinese evergreen dogwood that has performed wonderfully in the gardens here at Wilkerson Mill. Blooms in June for up to a month if the weather is kind (not too hot and dry). Happiest in bright shade, I think; no all-day direct summer sun here (GA). Height to 20 feet and almost as wide. Zone information in the literature suggest 7(b) - 9. 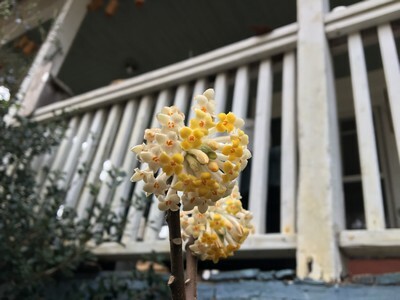 $32.95 ’Gold Finch’ is a selection of Edgeworthia chrysantha we collected from Dixon Gardens and Museum in Memphis in February, 2014. It’s a vigorous and handsome shrub for gardeners who live in Zones 7 - 9. The fragrant flowers appear in late winter at the tips of the branched stems before the new leaves emerge. It’s in the same botanical family as Daphne with a similar intoxicating fragrance as D. odora. Fortunately it is not as finicky about it’s care. 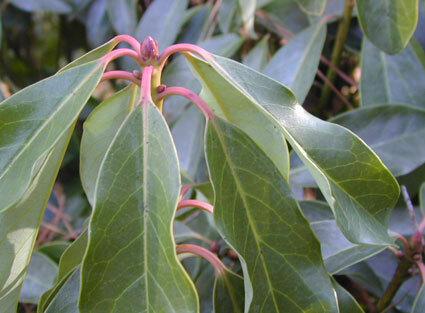 Plant in a partially shaded, adequately moist spot in a part of the garden you regularly visit in late winter and enjoy. Height to about 4 feet. 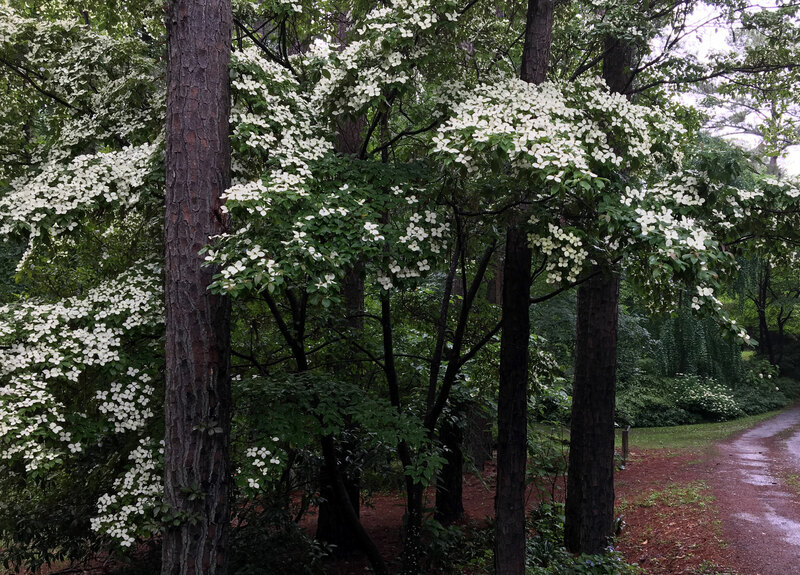 $17.95 In earliest spring the graceful arching branches of the 4 foot Spiraea thunbergii ’Ogon’ are clothed in small white blooms which dance unfazed by late frosts. 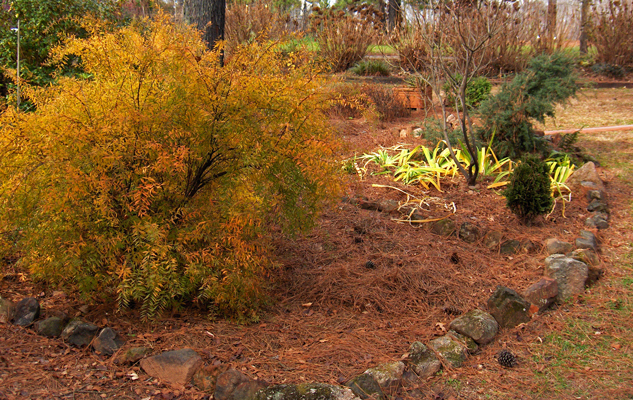 The sparkling chartreuse foliage of spring and summer turns amber in the fall -- an eye-catching bright spot in the garden. Sun or perhaps even better in lightest shade. Deciduous. Zones 4 - 8. $19.95 We don’t grow many roses, only two or three, because we haven’t the patience to spray and prune and spray and prune and spray, as many roses require in order to perform in the garden. But we consider Rosa ’Graham Thomas’ to be a winner. Blooms are double, of pure yellow and very fragrant. 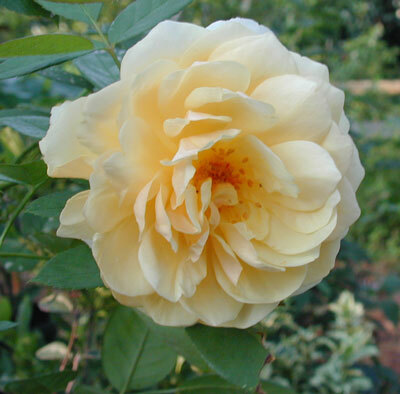 It’s generally classified as an English shrub rose, and it gets tall, 8 to 9 feet, so plan ahead. Zones 5 - 9. Correct cultivar name is Rosa ’Ausmas’ I assume because it was bred by David Austin and named for Graham Stuart Thomas, a duly famous English plantsman. Makes sense to me. Unlike most current patented cultivar names, say ’Abetwo’ ("Incrediball") or ’NCHA1’ ("Invincibelle Spirit"). It has to do with "branding." In Arizona where I partially grew up, branding was for cattle so you could identify them if they strayed. But plants don’t graze and wander so . . .
$19.95 A hybrid from Norway, Spiraea x cinera ’Grefsheim’ is particularly heavy-flowering in early spring before the leaves appear. Blooms are white. Growth habit is upright with arching stems. It will tolerate some shade but is best in full sun. Height to 4 feet or so and about as wide. The foliage is a soft sea-green. 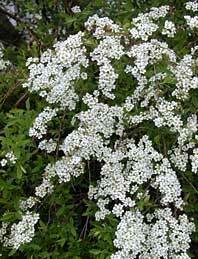 Dr. Dirr writes "about as handsome an early-flowering spirea as one could ever hope to find." Zones 4 - 8. 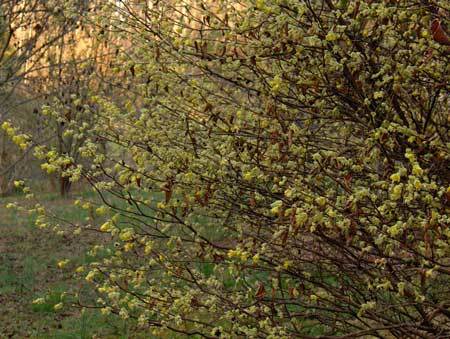 $14.95 Fothergilla gardenii ’Jane Platt’ is a dwarf form of the native witch-alder with a drooping habit, to a height of perhaps 3 feet. This is a true "gardenii" species unlike the more commonly sold selection ’Mt. Airy’. ’Jane Platt’ will grow in either sun or shade but will have better fall color in more sun. 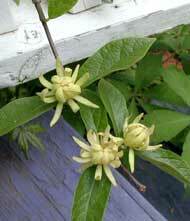 The flowers are creamy-white, honey-scented, in spring before the foliage appears. Deciduous. Zones 5 - 8. $18.95 These are Acer palmatum seedlings from one of many 15’ tall green-leaf Japanese maples in our gardens. As seedlings they will exhibit genetic diversity, although I expect most will be upright-growing with green foliage turning orange-to-red in autumn like the mama tree. 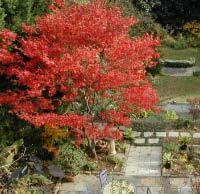 Our experience with Acer palmatum is that once established it is a tough survivor even through periods of neglect. For example, we planted 3 seedlings across the creek some 20 years ago and watered them in with a 5 gallon bucket of creek water. We never watered or fertilized them again. They all survive. Zones 6 - 8. 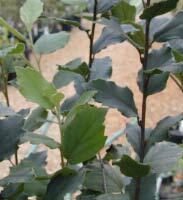 $15.95 A very hardy deciduous magnolia becoming a small tree (30’) with fragrant, white blooms in early spring. 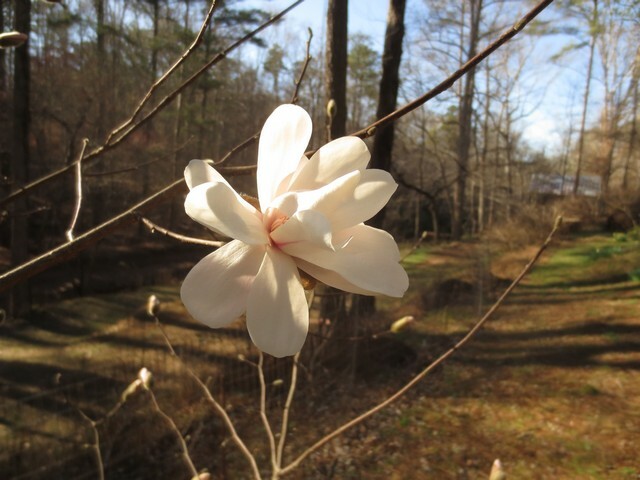 Our plantings include 3 Loebner Magnolias: ’Ballerina’, ’Leonard Messel’, and ’Merrill’. All are worthy of inclusion in your garden if you have room. Every season I hope to root cuttings of them. I have reasonable success. This season we have only a very few ’Merrill’. Zones 4 - 7 (8). $399.99 A well known selection of Japanese Maple that is a vigorous grower into a tree of perhaps 20 feet, Acer palmatum Osakazuki is green throughout the season until fall when it turns a brilliant crimson. Reputed to not scorch in sun, we have found it is happiest in the South in bright but filtered light. 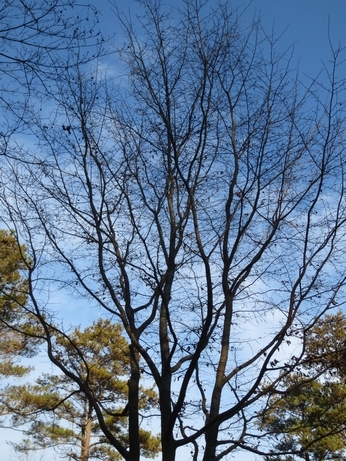 Like most Japanese maples, it is quite tough once established. These are grafted plants. They are available only at the nursery. They are far too large to ship at 12 years of age. Deciduous. Zones 6 - 8. Displaying 1-14 of 21 Found.